The rain-drenched delivery man on the doorstep of the Japanese apartment looked mildly embarrassed as he waved away my friend’s money. It was a typhoon day – classes cancelled, school closed, and the English teachers from my school had piled into one apartment for a party. Not wanting to brave the lashing wind and rain to go out and get food, we had ordered pizza, but hadn’t counted on the guilt we would feel when the delivery guy turned up on a moped looking like he’d just jumped into a swimming pool fully clothed. In Japan, there’s no custom of tipping. In fact, leaving a tip could potentially be considered rude, as the cost of the service is already supposed to be included in the price you pay. My American buddy’s attempt to follow his home custom in Japan ended in the delivery driver apologising profusely for not accepting the tip! In New York City, meanwhile, Japanese restaurants are bringing the no-tipping custom Stateside, as Restaurant Riki becomes the latest Manhattan establishment to ban their customers from tipping. To this writer, a Brit who was once yelled at by a waiter in New York for apparently undertipping (I don’t remember the numbers involved, but here’s a suggestion: shouting at me doesn’t make me want to give you more money), I have to say this sounds like a genius idea. 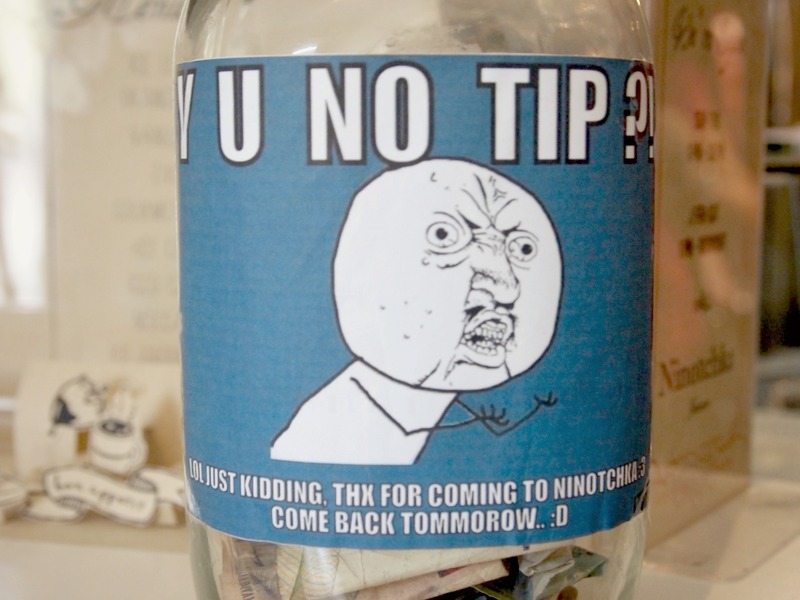 If you eradicate tips, staff’s wages are guaranteed and don’t vary from day to day. The customer doesn’t have to decide how much to tip, or worry about how your dining companions are judging you based on the amount you give – or whether the cash is actually going to the staff or not. By banning tips, therefore, the restaurant is aiming for a more cohesive experience from start to finish, unfettered by intrusive thoughts about money. If I were serving $200 sushi, I wouldn’t want my diners to be thinking about their wallet either. 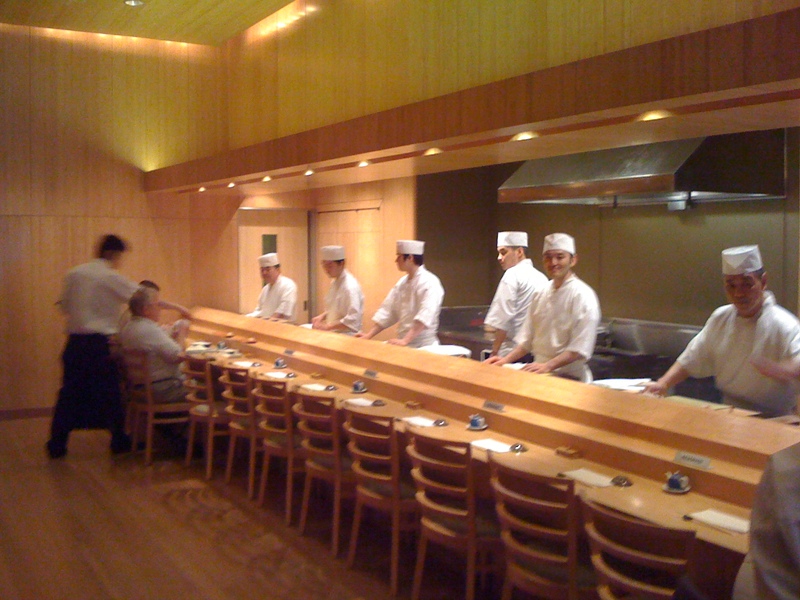 ▼ Yasuda Sushi: One for the sushi-lover’s bucket list, along with Tokyo’s Sukiyabashi Jiro. No doubt some will see these restaurants as part of a wider anti-tipping movement, but it remains to be seen whether other American establishments will follow in their footsteps. And what should you do in a non-tipping environment when (like my American friend when faced with the pizza delivery driver) you really want to recognise great service? If you do desperately want to give a tip in Japan, you might have more luck if you put money in an envelope, rather than handling the cash direct, or give a small gift instead of cash. Alternatively, you could consider not calling for delivery pizza in a typhoon. Poor guy.